Can stepwells help curb the water crisis in India? The sight of women walking hours in the scorching sun to fetch water from wells many miles away is a commonplace in rural India – especially in the arid west and central regions. But in the tiny village of Modi, located in Neemuch district in Madhya Pradesh, women have managed to escape this chore. Neemuch district abuts Rajasthan and is extremely dry; shortage of water is a reality of life for people here. No more however. The trust that runs the Kheda Mata temple in the village has revived a stepwell on its premises. It took a lot of funds, provides enough water for domestic use, cutting short the daily hike that the women had to previously make. “It took around four years to revive the stepwell and now the entire village benefits from it. The temple is quite popular so several people visit it and the water is used by these travellers to freshen up as well as well to drink. Apart from this, the villagers use the water for domestic chores too,” informs Nemichand Jain, a trustee of Kheda Mata temple. 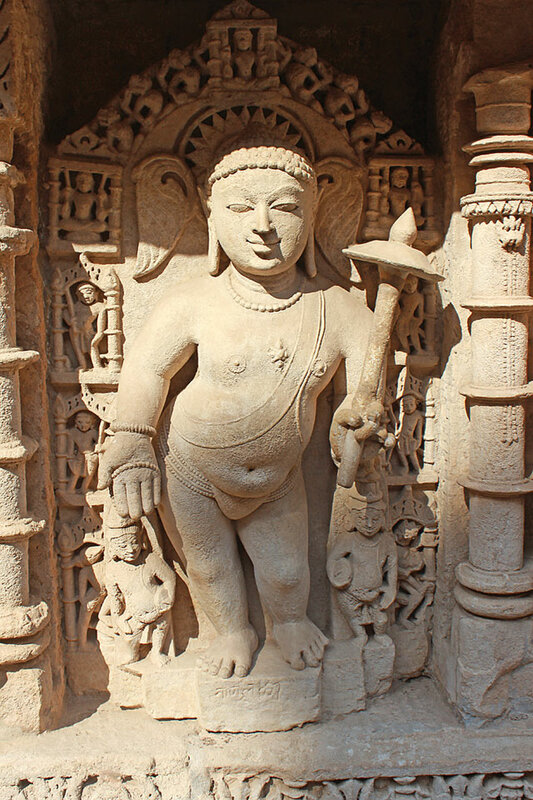 For most of us city slickers, stepwells are relics of the past – we marvel at their beautiful architecture and layout, the intricate stone carvings and columns. That they once had a purpose – harvesting and storing rain water – doesn’t come to mind immediately. And how would it? The beds of most of the stepwells today are dry and filthy. Stepwells, or baolis, vavs and bawadis as they are called locally, were built by royal men and women, or rich merchants, all across the subcontinent from ancient times. “Essentially, these are wells to access sub-surface water, but with a value addition to the form resulting in an architectural creation [that contributes to] the socio-cultural milieu,” elaborates Jodhpur-based architect A Mridul, who designed Birkha Bawari, a modern stepwell that provides water to a township in the city. These buildings, says Mridul, were almost like temples to water, and while holding water and making it easily accessible remained the principal function, they were also designed to serve as a community space enriching the flora, fauna and micro-environment. 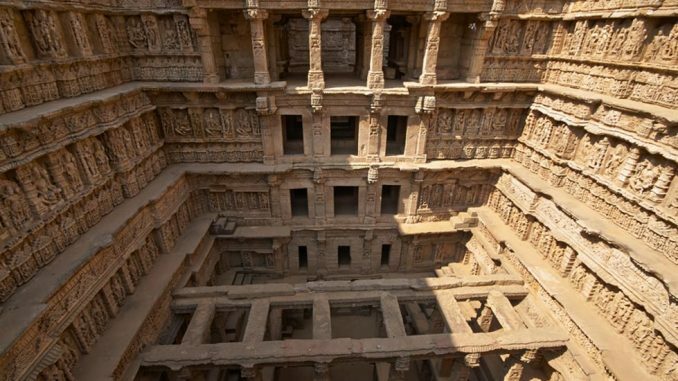 So if these magnificent stepwells had been constructed to cater to a very basic human need – water – and if the life of an entire society revolved around it, then what led to their abandonment? “They’d been in use for well over a millennium before the slow decline started in roughly the late 18th-early 19th century, thanks to the fragmentation of the Mughal Empire. The ascendency of the British Raj, along with new technologies in water distribution hastened the demise of stepwells,” points out Victoria Lautman, an American journalist and author of The Vanishing Stepwells of India. Can this phenomenon be reversed in contemporary India? With increasingly weak, unpredictable monsoons, leading to frequent droughts, higher temperatures, and an unprecedented water crisis – a NITI Aayog report says millions of lives and livelihoods in India are threatened by ‘the worst water crisis in its history’ – can we look at this ancient, sophisticated water storage system to provide succour? Can stepwells be revived as a source of potable water for domestic use? “It really depends on which region we are considering, as each has a different topography,” explains Vikramjit Singh Rooprai, a Delhi-based heritage activist. Delhi has 31 baolis, some of which have been cleaned and revived in the last decade. Water from the baolis inside Purana Qila, Red Fort and Feroz Shah Kotla are used to irrigate the gardens within; in Matia Mahal in old Delhi, the baoli is even supplying water to the local community. Rooprai emphasises that construction activity and concretisation of the area around them are major obstacles in reviving stepwells in urban spaces. Given the shrinking of the catchment area, water can’t be recycled, he says. The stepwells need space from where water can be refilled naturally. “With concrete roads and buildings everywhere, there isn’t much open ground left in cities,” he says. Dr Swapna Liddle, convenor of the Delhi chapter of heritage body Intach, sounds a word of prudence. “Whether or not the stepwell should be revived depends on the water table and needs to be considered on case to case basis. If there is a plan to revive a stepwell, then its water quality needs to be checked,” she cautions. In fact, he also emphasises that it is now essential to re-initiate the tradition of building stepwells and similar water bodies at the level of the neighbourhood, village and city, in order to supplement the larger water network and help mitigate the growing water stress in India.